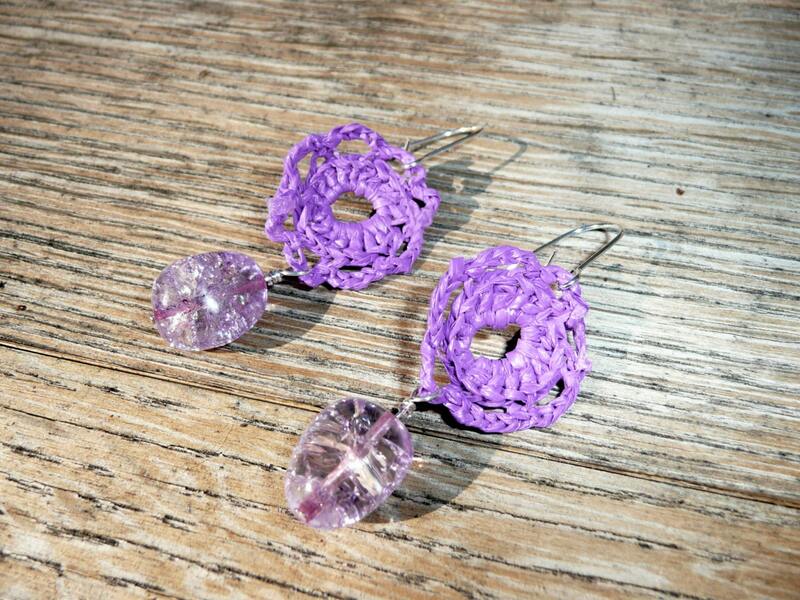 Nobility - Unique flower shaped earrings made by recycling a plastic shopping bag with a cracked glass bead in matching color. 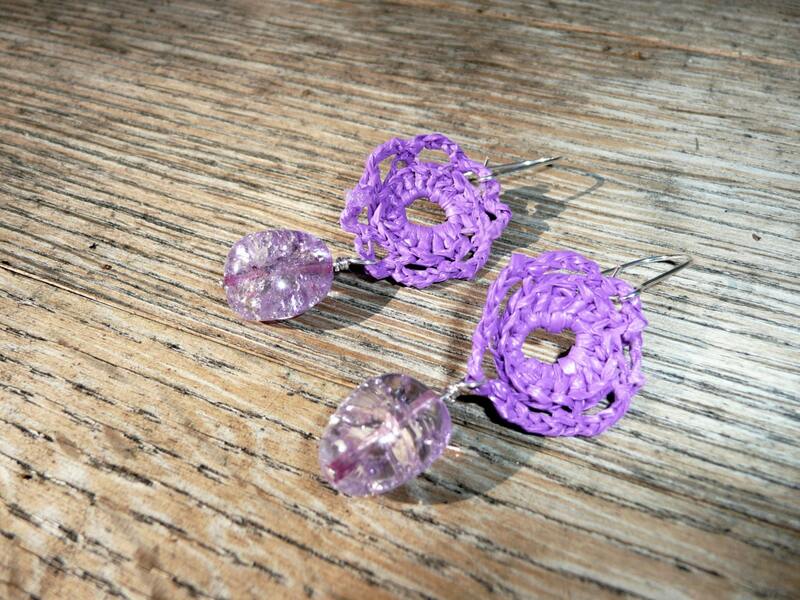 These cute flowers have been hand knitted out of a recycled plastic shopping bag. 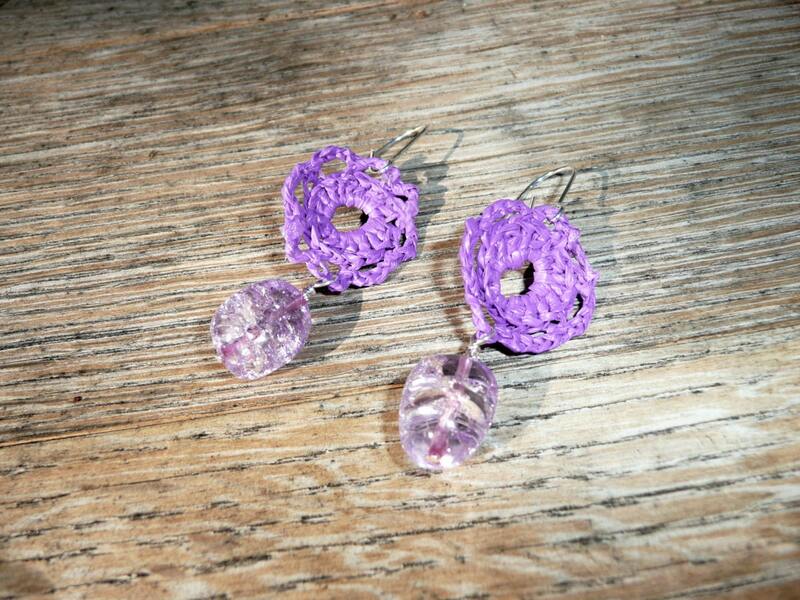 They are accessorized with a dangling cracked glass bead in purple tones that perfectly complements the crochet plastic flowers, giving this earrings the right amount of sparkle and weight. These earrings are very light to wear and could be an everyday favorite or a nice evening accessory. Beautiful deep purple color. Silver plated earwires. 2 and 1/4 inches long or 5,5 cm.